In the course of action, fear arises from discouragement, distraction, and delusion. Therefore, courage is recognized as comprising the triple spontaneity of enthusiasm, concentration, and wisdom. 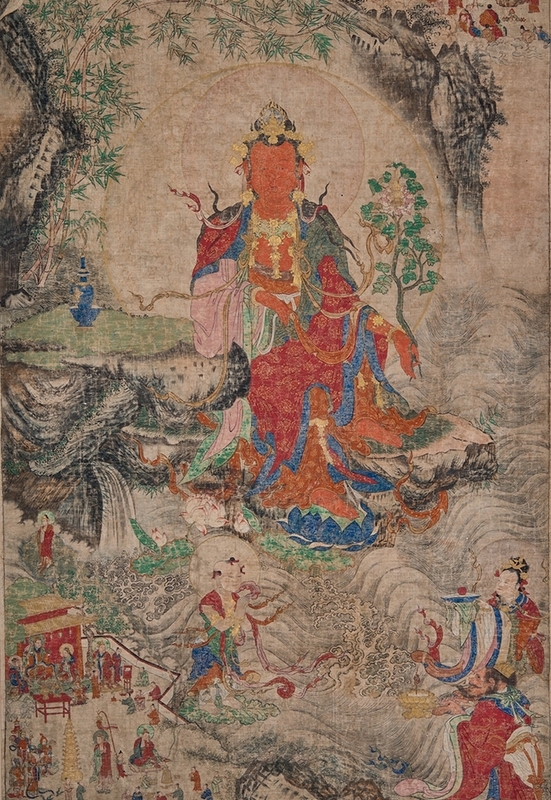 The courage of the brave Bodhisattvas is born naturally from vows, from renunciation, from benefiting sentient beings, from learning the profound and magnificent Dharma, from the difficulty of training disciples, from the inconceivability of the Victors’ bodies, from various ordeals, from not abandoning samsara, and from complete freedom from afflictions.